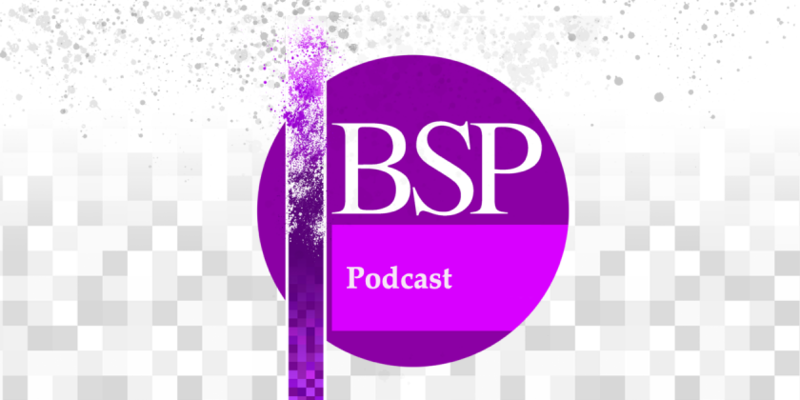 Here is the fifth and final podcast from the BSP’s 2018 workshop ‘Embodied Subjects: Phenomenology, Literature, and the Health Humanities’. On the podcast, Ms Moujan Mirdamadi presents her paper ‘Death-conscious culture and experiences of depression in Iran’. Moujan is a PhD Candidate working in the field of the philosophy of psychiatry, and is an associate lecturer at Lancaster University’s Department of Politics, Philosophy & Religion. Moujan’s paper is taken from the BSP’s workshop ‘Embodied Subjects: Phenomenology, Literature, and the Health Humanities’, which he convened. 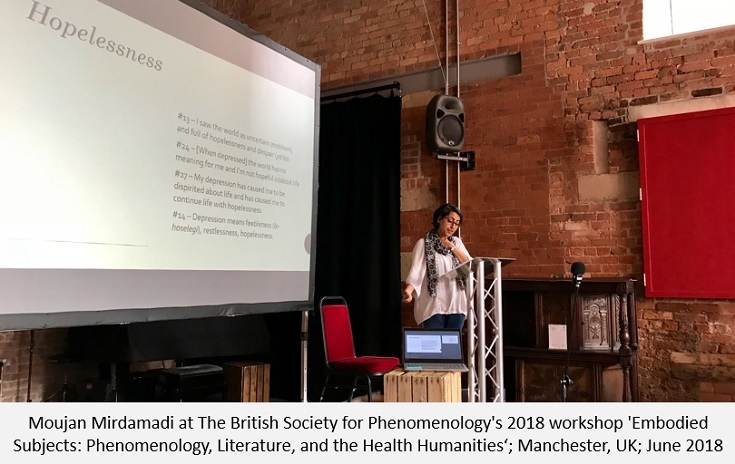 The workshop took place in Manchester, UK, during the summer of 2018, and gathered together philosophers, literary scholars, phenomenologists, and practitioners to discuss the significance of embodiment for the health humanities. More information about the workshop can be found here.